Having a camera means seeing the world with a photographer’s eye. It can also mean being able to see things that would otherwise be invisible to the naked eye. That’s inspiring. This photograph illustrates the point. Last weekend was the annual airshow (‘estevol’) at Blond. It was a cloudy, overcast day which at least meant that the sky provided a good neutral background. It was also very windy. 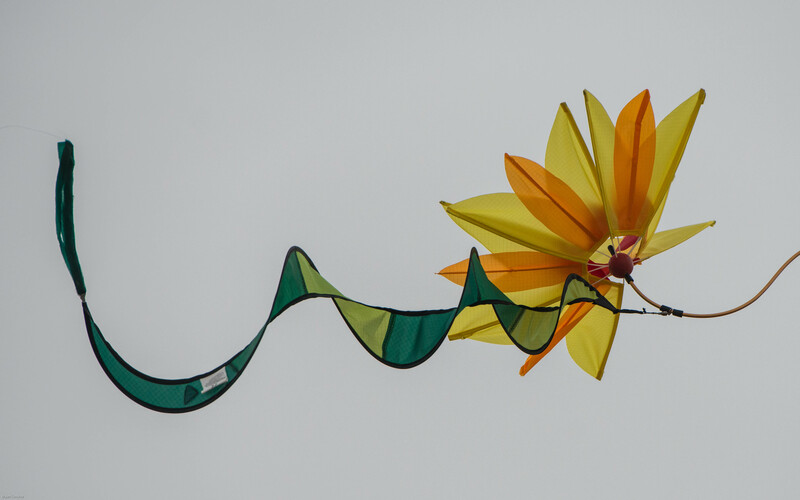 One of the regular features of the estevol is a very colourful display of kites. The wind was perfect for flying them, but it took a camera – and only 1/8000 of a second – to ‘freeze’ this particular ‘cerf-volant’, which otherwise would have been just a blur.